Proactively offering taste customization with all liquid prescriptions is the best way to embrace the flavoring service to delight your customers. To help you help them, we’ve developed some great (and really fun, too) tools that will help you effectively engage with your pediatric customers and their parents! 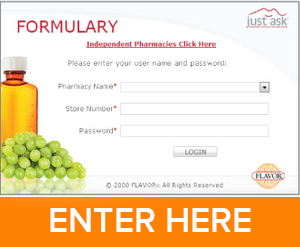 Are you already a FLAVORx Pharmacy. 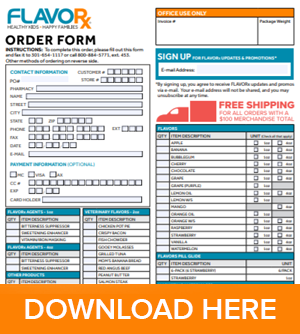 Click on the button below to download a PDF version of our order form. 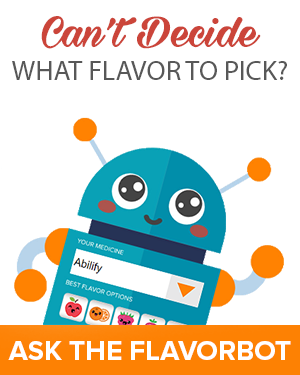 Our friend, Flavorbot, helps your customers discover which of our yuck-busting flavors work best in their medicine! Just find their medication in the drop-down menu and watch Fred give the best flavor options. 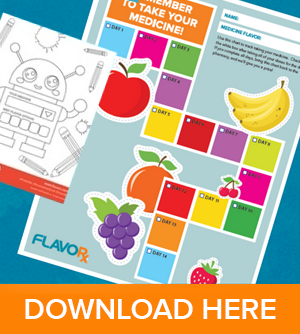 A downloadable, interactive guide that you can share with your customers to make medicine time a little more pleasant.